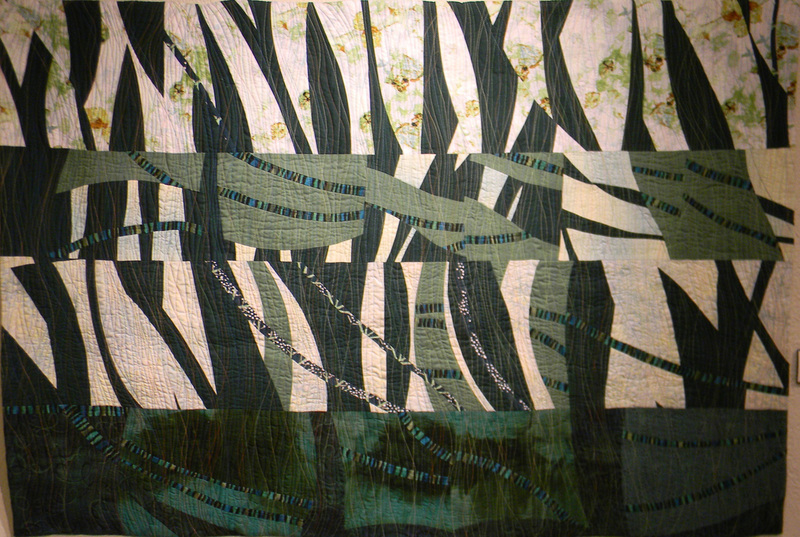 Nancy Bartach is a California textile artist whose work has shown in two of the recent exhibits that I’ve seen lately. Accelerating – Decelerating was shown in the IFA’s “Multiplicities, New Directions in Fiber Exhibit in Warren, RI last month. 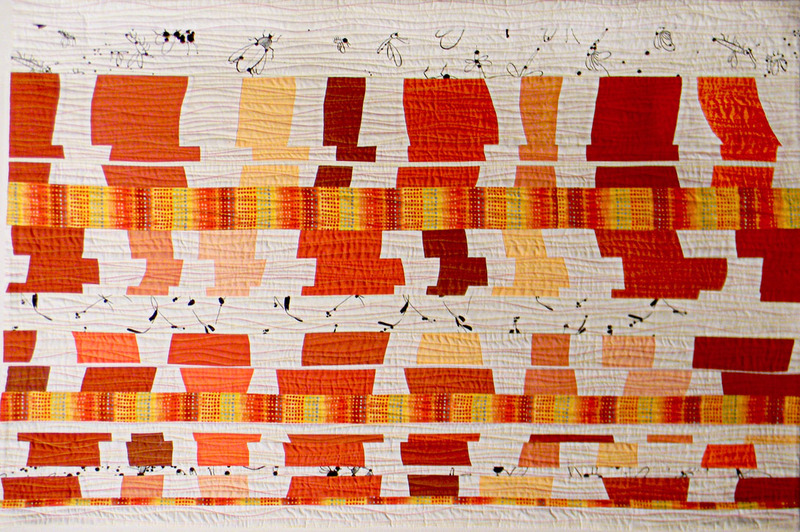 This piece draws you right to it with it’s color and light and its lively sense of rhythm. Dappled was at the Whistler Museum Gallery in the “How Does Your Garden Grow” Exhibit. Again, that sense of movement and light attracts your eye immediately. The undulating patterns give it a life of its own. It is Friday and I’m hooking up with Nina-Maries Off the Wall Friday.